Ranch sorting lesson this Thursday at 7. Text me at 9514634146 if you’re interested! Final Jackpot of the Spring Series PLUS a CUSTOMER APPRECIATION BBQ Saturday night following the sorting! 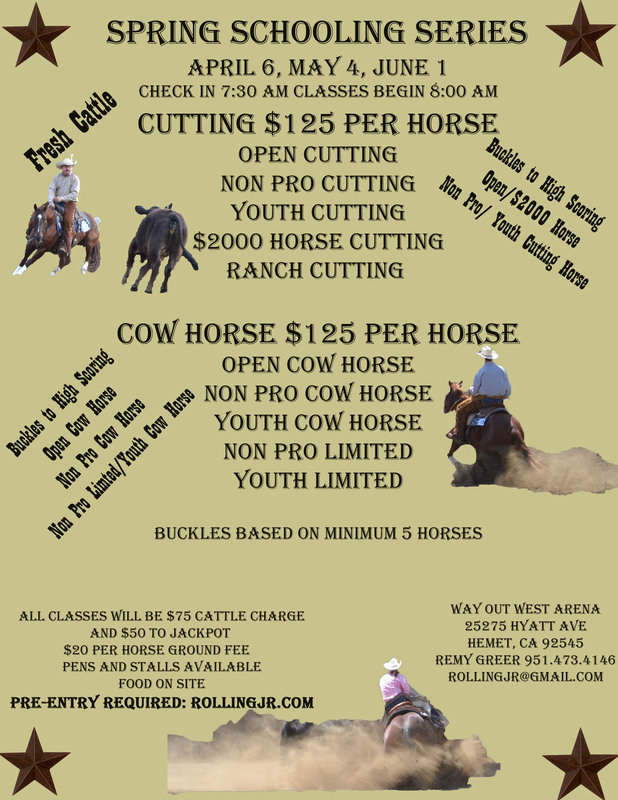 Ranch sorting lesson this Thursday at 7 PM text me at 9514734146 if you’re interested. Also, we WILL be sorting this Friday night!